Man Rings in 2015 with His 16th Lifetime DUI: Not the Best Way to Start the Year! If you’ve recently been arrested for Los Angeles DUI — e.g. if police stopped you on Mulholland after you attended a fancy soiree at a Hollywood producer’s house — you’re probably dreading the potential legal and financial ramifications. Even if you didn’t hurt anybody or cause any property damage, you could have to pay fines and fees of $1,000 or more, deal with a six month (or longer) license suspension, and face time behind bars… among other punishments. Hopefully, the arrest was your first. The more times you get arrested and convicted for DUI in California (over a 10-year period), the more intense your punishments become. For instance, a misdemeanor DUI may land you a few hours (or a day or so) behind bars. But if you’re pulled over and convicted for that same crime three times within a 10 year span, on the third time, you could face half a year behind bars (or longer!). Plus, prosecutors can try to elevate your charge to a felony instead of a misdemeanor. 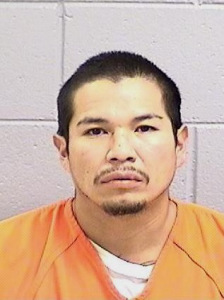 Given that context, let’s take a look at a sad story out of Farmington, New Mexico, where 30-year-old Lawrence Pine got nabbed for his 16th DUI just as the New Year rung in. According to reports from local station, KRQE, police showed up at Pine’s home after a call suggested possible domestic abuse at the house. Pine took his two children into his car and fled. Allegedly, he slammed into a parked car with the children in the vehicle. Police stopped him at a gas station and arrested him on a bevy of charges, including possession of drug paraphernalia, driving with a revoked license, child abuse and DUI. They’re holding him on a $200,000 bail. Investigators also alleged that Pine “repeatedly kicked and hit the children while they were in the vehicle.” The situation sounds absolutely awful, and we hope that the children are getting excellent care and that Mr. Pine gets the assistance he needs to deal with his demons. If you or someone you love needs help after an arrest — whether it’s your first or your fifth — please call a qualified Los Angeles DUI attorney with the Kraut Law Group for insight into your rights and legal options.